There are two main reasons why every motorcyclist should consider an advanced rider qualification. Not only can training save you money on your insurance premiums, but it might also save you from potential accidents by preparing you to avoid dangerous situations before they become a problem. And advanced motorbike training is often less expensive than you might imagine. That makes it a great way to improve your riding, save some money, and also meet other local riders. Dan Thornton from ResCogs gives us insight into the benefits and features of advanced rider qualifications in this in-depth guide. What is an advanced rider qualification? For many riders, the last training they received was to pass their original motorcycle test. If that was before 1997, they might have never received any instruction on riding a bike bigger than 125cc. And that training would have been tailored specifically to the test requirements, not necessarily for everyday riding. It’s rare that anyone wants to perform a tight, feet-up U-turn on their bike after getting their license, unless they’re competing in a trials event, for example. That’s why a small number of organisations have introduced advanced rider qualifications. They help riders who already have a full motorcycle license to improve their riding beyond what is required to pass their bike test. That can be a great way for a new motorcyclist to make up for a lack of experience, or for someone returning to riding after a break to get back on two wheels safely. Each individual scheme is slightly different, but all end with a riding assessment to judge whether you meet the standard required for the qualification. You’ll then hold that certification for a set period of years. The exception is the Government Enhanced Rider Scheme which has no expiry on your assessment. How do I get an advanced rider qualification? 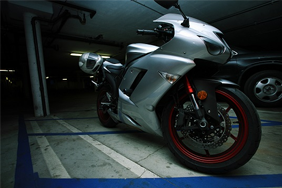 The process to get qualified for advanced motorcycle training is actually very simple. You’ll need a full motorcycle licence, plus your own bike and suitable riding kit. And then you can choose whichever organisation and course best suits your preference. It’s also worth double checking with your existing insurer that the qualification you decide to take is one that gives you a discount on your premiums. 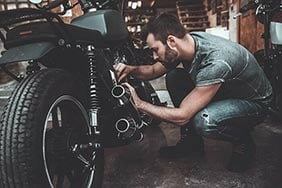 Almost all motorcycle insurance companies recognise the main four assessments, and will give you a discount of up to around 10% on your cover. But it’s always worth making sure before committing to a course. The format is generally very similar. Most will require you to have some observed training rides with a volunteer or professional bike trainer, and then culminate in an assessed ride. The exception is the DVSA Certificate of Competence (Enhanced Rider Scheme), which reverses things slightly with an assessed ride followed by a course tailored to you, and no test at the end. Costs for an advanced rider qualification vary between £150 and around £350-400 depending on the course you choose and the amount of training required. So your insurance saving may offset the cost, or save you money. But it will depend on your current motorcycle insurance premiums. 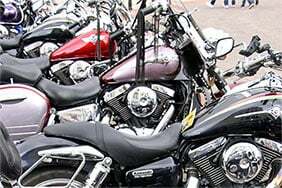 You may also need to invest in books such as Motorcycle Roadcraft: The Police Rider’s Handbook, which is recommended by all of the advanced rider qualification organisations. 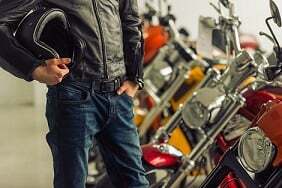 What advanced motorcycle training courses exist? Not all motorbike training involves exams and qualifications. For example, BikeSafe workshops are regularly held by most regional police forces across the UK. You’ll get a theory workshop and an observed ride with trained police motorcyclists. The BikeSafe courses take place at police headquarters around the country, and they’re great value at around £50 over one or two days. If you regularly travel with a pillion, the BikeSafe courses will often let you bring them on the observed ride. And if you do then go onto further training, a BikeSafe course can earn you a discount with the Institute of Advanced Motorists (IAM). You can find out more and book a course at your nearest police station via the BikeSafe website. 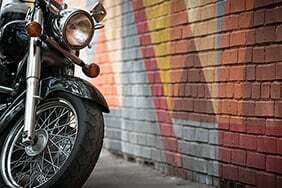 Some insurers will give a discount with a Bike Safe Certificate, which is always worth checking. The Enhanced Rider Scheme is a Government backed course to check your current motorbike riding ability. And to then provide the right advanced rider training to help you improve if needed. The first stage is to take part in a 1-2 hour assessed ride with an expert motorcycle instructor. If they think you don’t need any further training, you’ll get your ‘DVSA Certificate of Competence’ straight away. Otherwise, you’ll then receive personal training to improve any areas you might need to work on, and get your certificate when it has finished. That may be a one or more short sessions or an all-day course, depending on what the bike trainer decides you need. You can find your nearest Enhanced Rider Scheme trainer via the Government website. The Institute of Advanced Motorists (IAM Roadsmart) has offered an Advanced Rider Course for many years. To take part, you sign up with your nearest local group to go on a number of observed rides with trained volunteers over three to six months. You may need to contribute to the fuel costs for your observer, but it depends on each group. And you’ll then be able to take your Advanced Test. The IAM Roadsmart Advanced Rider Course costs £149, with a welcome pack and course manual. And it also includes IAM life membership which has various benefits included. You can find out more on the IAM Roadsmart website. 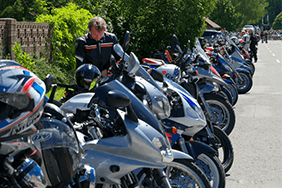 The British Motorcyclists Federation (BMF) also offers an advanced riding course for motorcyclists. The BMF Blue Riband Rider Award consists of training with a qualified advanced motorbike instructor over one and a half days of theory, demonstration rides and practical training. You can also choose to separate the practical riding sections across different days if that’s more convenient. In either case, a different instructor will then conduct an assessment taking around two hours, and a pass will result in a certificate and award valid for three years, 12 months BMF membership, and various badges and cards to share your achievement. You’ll need to have held a full A class licence for at least six months, and have a motorbike with 33bhp or more to take the course. It will cost around £250, and the assessment only costs £80. The BMF website has more information on the Blue Riband Course. Finally, there is also the RoSPA advanced test, which is monitored and approved by the Driving Standards Agency and is taken with a serving or retired Police Officer over a 90 minute period. The main difference from other advanced motorcycle qualifications is that the RoSPA test is graded as a Bronze, Silver or Gold award. The test itself costs £63 for those under 25 years or age, and £68 for those 26 and older. It’s potentially the most challenging and comprehensive advanced bike training, so you’ll want to find your local RoSPA group and join from as little as £20 to receive free tutoring. The test needs to be retaken every third year which is included in RoSPA annual membership. You do get your first year included in the cost of the test, and it’s £30 from then on. And you can find out more about the RoSPA advanced test and membership on their website. How do advanced rider qualifications improve your riding? The main benefit of all advanced training is that it helps manage the practical aspects of everyday riding. That includes spotting potential hazards and dangers before they become a problem. And that allows you to minimise your risks and have more fun on your bike. Many of the solutions are fairly simple. Dropping back from a vehicle you’re trying to overtake, for example. That not only gives you better visibility that sitting on their rear bumper. But it also reduces the impatience and stress you might be feeling, and gives you more control over the situation. And as any bikeracer will explain, smoother is generally faster. Something also demonstrated when the police instructors on BikeSafe courses need to make good progress for any reason. 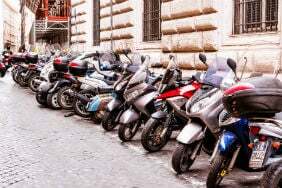 How do advanced rider qualifications save you money? 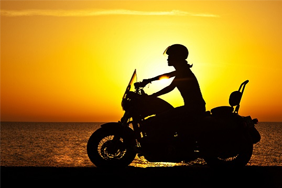 The main money saving from taking further motorcycle courses and tests is the discount on your insurance premium. Many insurers will recognise the qualifications issued by RoSPA, the IAM, the BMF and the Enhanced Rider Scheme. The level of saving will vary depend on the insurance company and training certificate, but you could lower the price by around 10-15%. Whether or not that saves you a worthwhile amount will depend on the cost of your policy and course. The worst case scenario is that the insurance saving covers most of the cost of your advanced bike training. And you still get the safety benefits, plus any saving on fuel, tyres and other consumables from riding more smoothly. And you can’t really complain about becoming a better, safer rider for free.